I will write one 500 words SEO optimized technical, informative blog / article on all possible topics including technical topics. What are the topics we are expert in? Software programming,computer hardware architecture, Android & iOS, mobile game development, Virtual Reality. Augmented Reality, (IoT), 3D printing, Artificial Intelligence, Machine Learning, Deep Learning, Bitcoin, and Blockchain, DevOps, software development, AWS Cloud Technology, Python, Ansible, Docker, Cyber Security and more. Our expertise not limited to these topics only, but can deal with health, commerce, finance, shopping, business, home decor, pets, adult topics and many more. Why you can hire me? We accept all inputs from clients, If any doubts contact us! 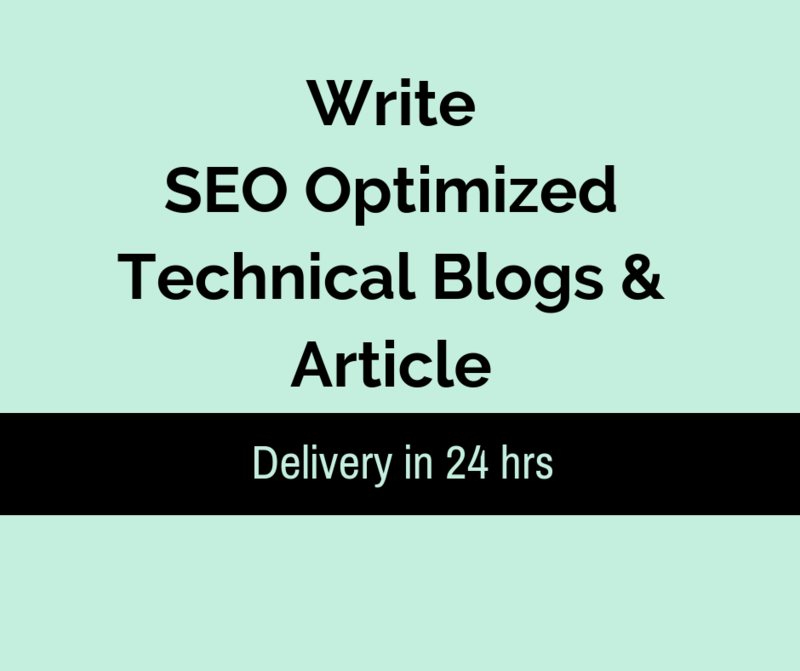 Write SEO Optimized Technical Blogs and Article Writing in 24 hrs is ranked 5 out of 5. Based on 5 user reviews.